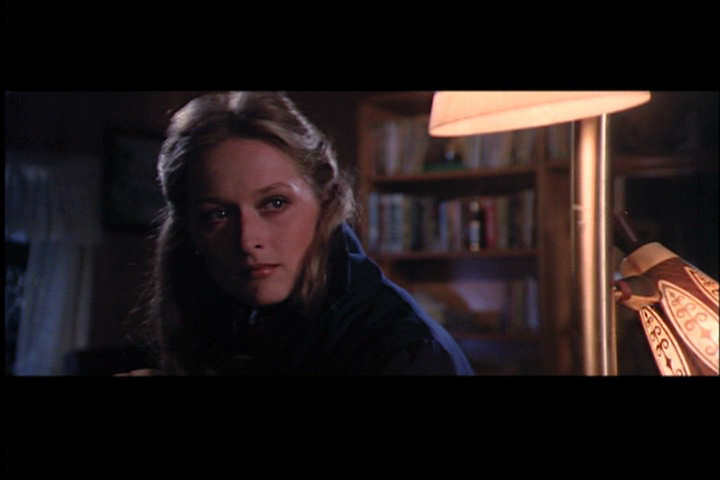 The other three stars I was familiar with were the intense John Savage, the superb Christopher Walken, and the tremendous, lovely Meryl Streep in only her fourth film. I also really liked the character played by George Dzundza. 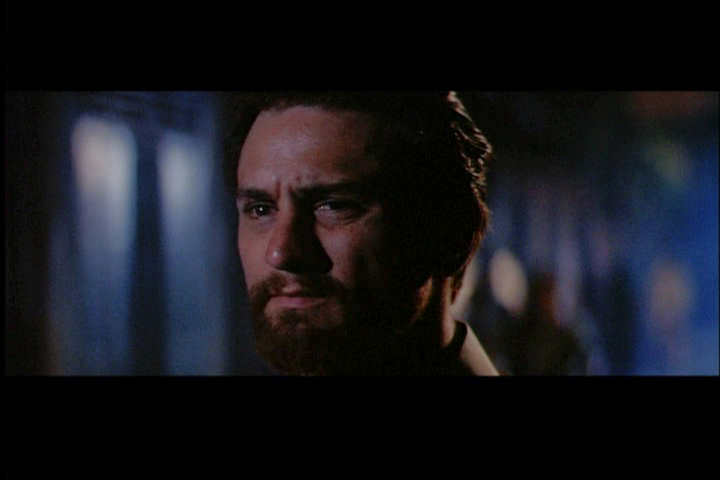 The Deer Hunter can't in any way be called a happy movie. Its whole point is how regular people get destroyed by wars that they didn't initiate, and, in the case of Vietnam, were forced to fight in. But it's the normalcy of the characters that's compelling. De Niro's efforts on the part of his friends aren't due to special nobility, but instead to a kind of character evident in many people. What happens to all of them doesn't reveal them as lesser or greater humans. It reveals them as simply humans who have done and seen things no human should. Let's see if I get this correct. But first, who do you recognize? 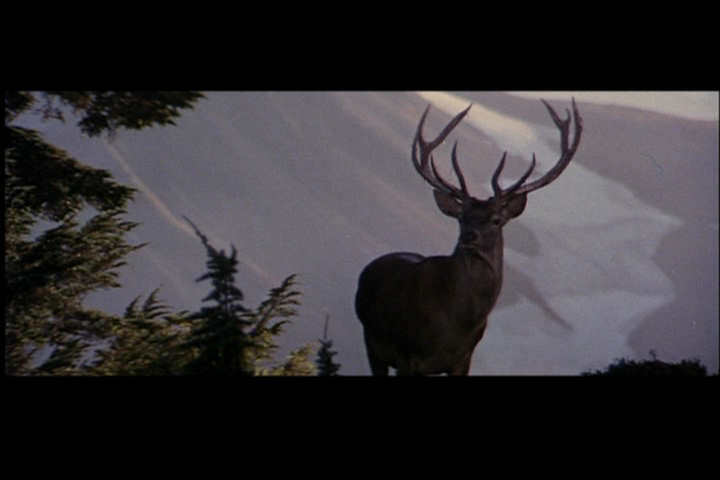 (sorry, it's not the best screen capture). 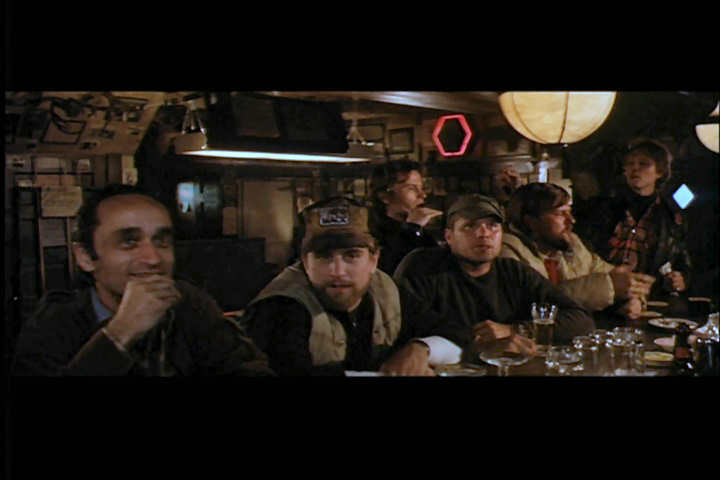 Starting from the left: John Cazale, who died soon after filming, Robert De Niro, John Savage (behind the bar), an extra, Chuck Aspegren, and Christopher Walken. Meryl Streep and Christopher Walken. 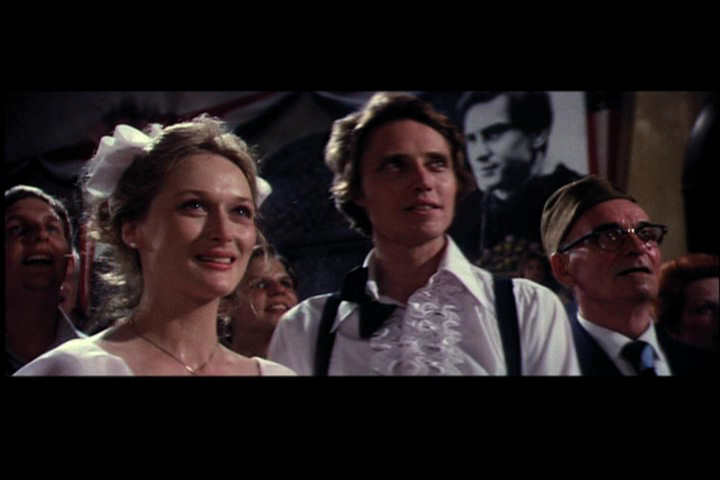 Notice how the photo of De Niro is framed next to Walken, foreshadowing later film events. Like a Rembrandt painting, Robert De Niro. The exquisite Meryl Streep, who's performance makes acting look far easier than it is. 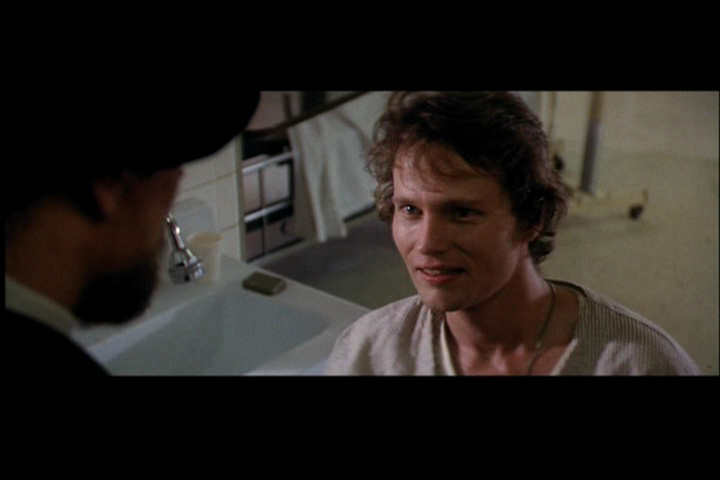 John Savage nailed his role.